The life sciences have historically been one of the most attractive categories for investment. For some investors, being able to support the development of life-saving compounds is sufficiently rewarding. For others, the promise of a high-value return from an IPO or from an acquisition has motivated investment. The investment landscape is evolving with new technologies and investment laws that promise to change who and how they will invest. To follow is a review of the current state of life sciences investment, how it is evolving, an understanding of crowdfunding legislation (the JOBS Act), and how the future of life sciences investment may change from present practices. What is Happening with Funding in the Life Sciences? 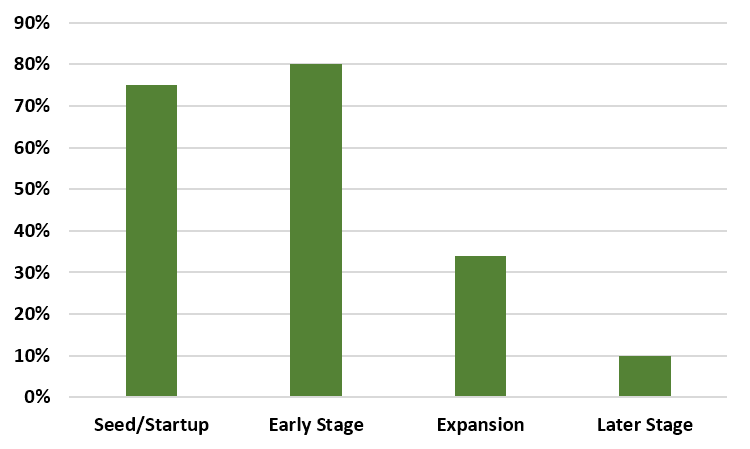 Figure 4 illustrates year-on-year percent change in deal value. 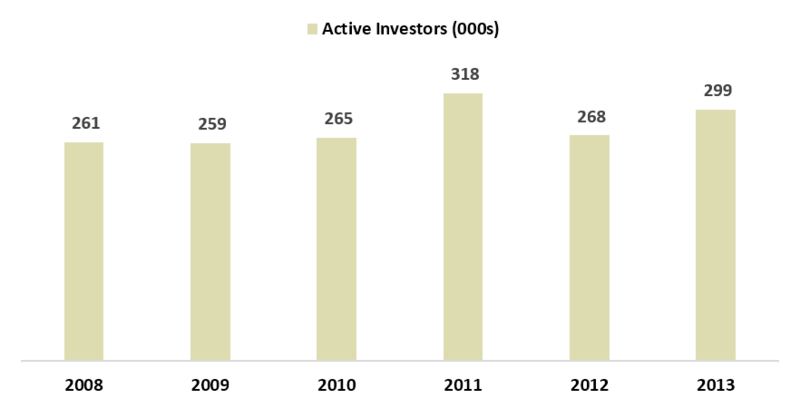 Life sciences' venture capital investments increased by 15% during the first quarter of 2014, compared with the first quarter of 2013. 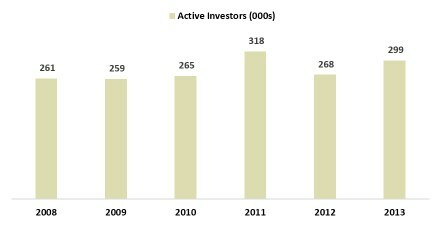 In contrast, total venture funding jumped by 57%. This is the third consecutive quarter that the growth in total venture capital investment has significantly outperformed those of the life sciences' investments. A upward trend for the life sciences category is the positive inflection over time. The life sciences' share of total venture capital investments was 17% for Q1 '14; the lowest proportion for a quarter since 2001. The Life Sciences category is composed of "Medical Devices and Equipment" and "Biotechnology". 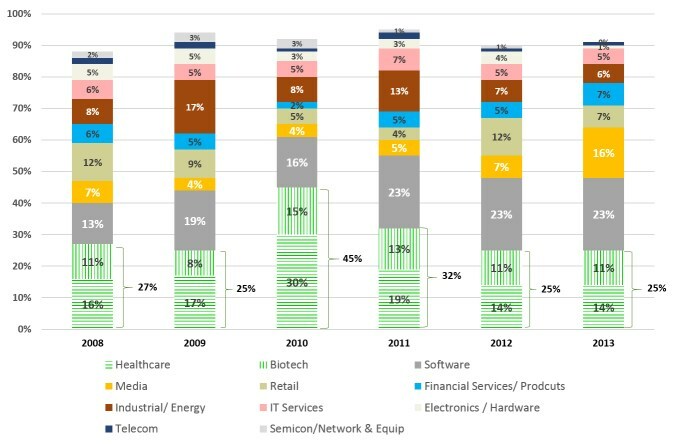 Figure 6 illustrates the continuing loss of appeal of the Medical Devices and Equipment category for funding (or, is it the overwhelming relative attractiveness of Biotechnology? ), as it has fallen from 87% of Life Sciences' funding in 2000 to only 6% in 2014; truly a dramatic fall from grace! The "exit bottleneck" overhang of 1,600 still private companies representing $38 billion in venture funds invested from 2000-2011. In 2013, accredited angel investors put $24.8 billion into nearly 70,730 early-stage companies [all industry sectors]. In addition, The ACA highlights that accredited angel investors provide 90 percent of outside equity capital to startups, on top of mentoring and often additional expansion capital. The 2011 ACA Angel Group Confidence Survey indicated that the majority of angel groups preferred to invest in seed and early stage companies, not later stage. Biotechnology: Developers of technology promoting drug development, disease treatment, and a deeper understanding of living organisms. Includes human, animal, and industrial biotechnology products and services. Also included are biosensors, biotechnology equipment, and pharmaceuticals. Healthcare Services/Medical Devices and Equipment: Includes both in-patient and out-patient facilities as well as health insurers. Included are hospitals, clinics, nursing facilities, managed care organizations, Physician Practice Management Companies, child care and emergency care. Manufactures and/or sells medical instruments and devices including medical diagnostic equipment (X-ray, CAT scan, MRI), medical therapeutic devices (drug delivery, surgical instruments, pacemakers, artificial organs), and other health related products such as medical monitoring equipment, handicap aids, reading glasses and contact lenses. A current trend in angel investing involves syndicating wherein various angel investor groups collaborate on funding and are able to raise significant funding levels. For many companies, this level of investment allows companies to become revenue producing without ever needing VC involvement. Figure 12 illustrates the VoD concept for a pharmaceutical product in development. 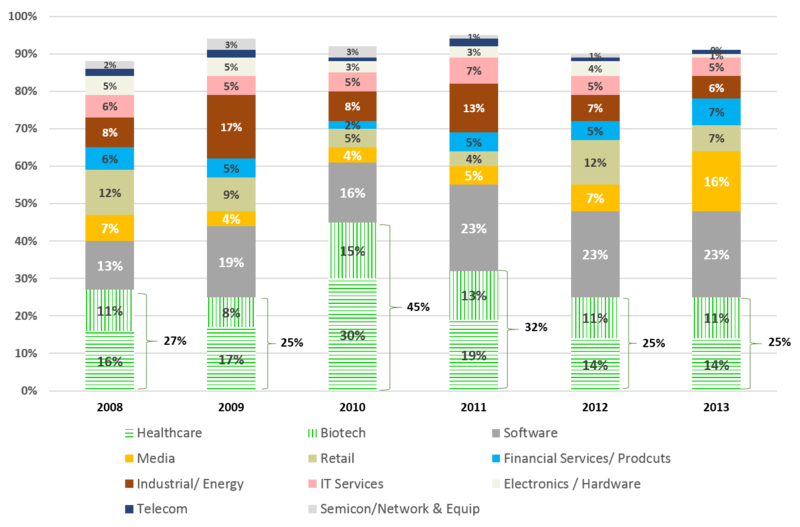 8 Other product categories and industries have similar kinds of development, funding components, and associated timings. A brief overview of each of these factors follows. The average time needed for drug development ranges from 10 to 15 years8 when measured from target identification through approval. 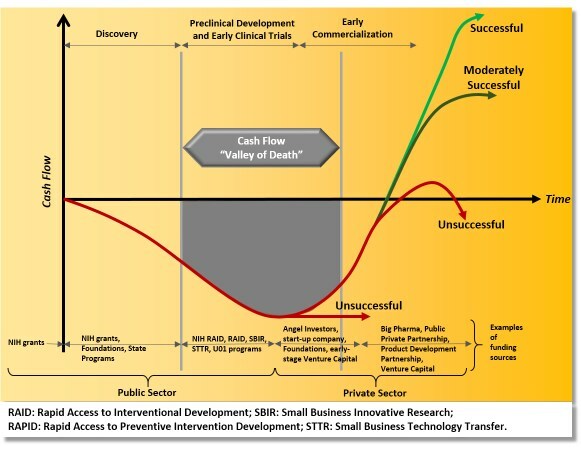 In addition to delaying the availability of a new therapy for patients, the long development time increases the overall cost, delays the time to a return on the investment, and reduces the period of sales protected from generics (which impacts the economics for innovators, investors, and the health care system in differing ways). 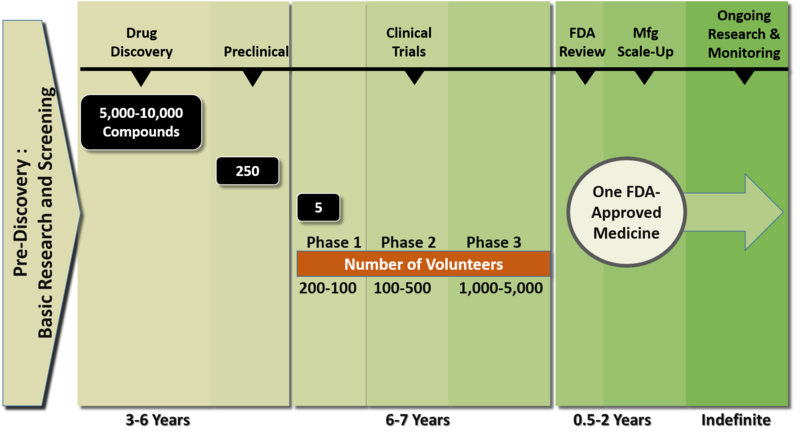 Figure 13 illustrates the approximate time needed, work performed, and phase of development for a typical medicine's development and approval as provided in "2013 Biopharmaceutical Research Industry Profile", published by the Pharmaceutical Research and Manufacturers of America's (PhRMA). What is obvious from the chart is the high level of attrition seen in the number of compounds in play from Discovery through the Clinical phases. This process has much to do with increasing both the time required and the chance of failure as will be described below. In addition to long development times, the biopharma industry has to endure high failure rates for products in development. This increases the overall cost, delays the time to return on investment, and reduces investor confidence and category attractiveness. 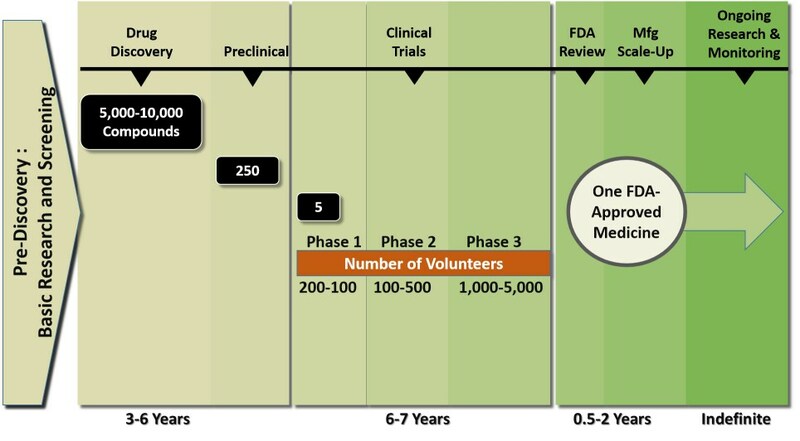 Figure 14 summarizes the phase success and likelihood of approval (LOA) from phase 1 by disease data for all indications. 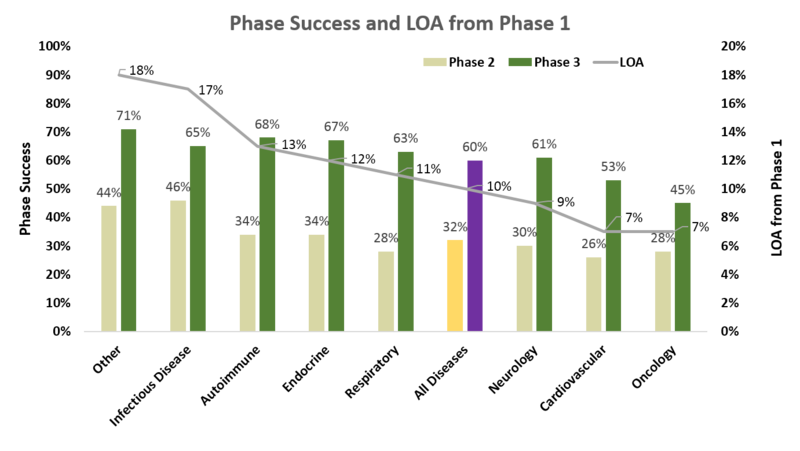 The bars represent phase 2 and phase 3 success rates and the line represents LOA from Phase I. 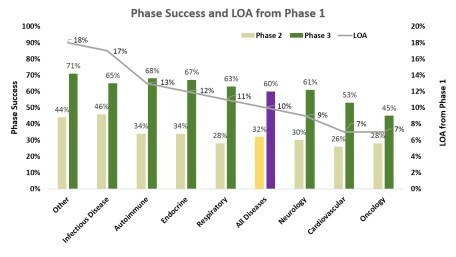 The LOA ranges from 28% to 46% for compounds in Phase II and indicates the high level of difficulty historically experienced in drug development. How to improve this process to improve the LOA is the subject of much discussion and debate and will not be resolved soon. Potentially more troubling is one of the conclusions reached by Hay et al: "The data presented in this study suggest industry-wide productivity may have declined from previous estimates." (Figure 15) This conclusion is based on their comparison of their study data versus that of earlier, similar studies from 2004 and 2010 as reported by their authors. The data reported in Hay et al indicates a worsening of the LOA over time: by approximately 60% since 2004 and by 32% since 2010 [emphasis added]. 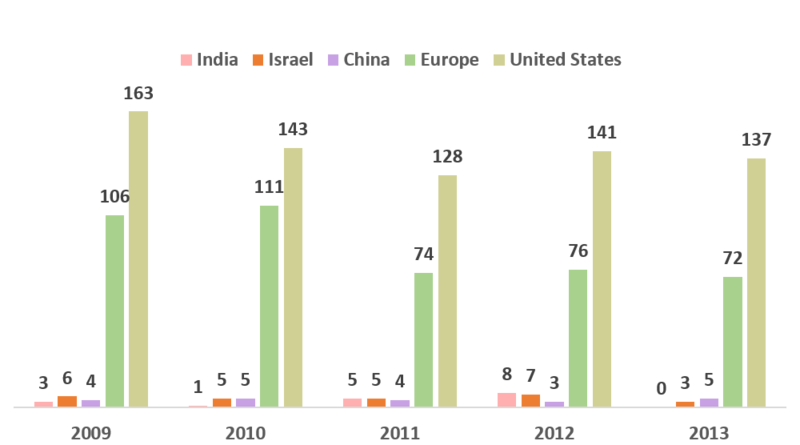 In 2013, there was a slight up-tick in the amount and number of financings for biotech (Figure 16) compared to 2012, as reported in Nature Biotechnology, May 2014. 11 Though this is positive when compared to 2012, the number and value of the deals are still much lower than those seen in 2006-2008. As in past years, only about 2% of VC money went to start-ups; the remainder went to companies with profiles matching product development, generating revenue, and/or being profitable (Table 1). 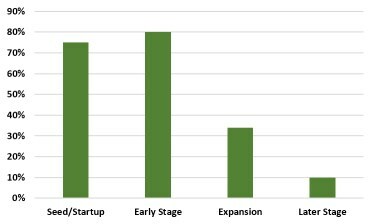 Though "...very early-stage start-ups require less money than private companies undertaking the later, more expensive stages of product development"8, these data also point to the preference of VCs to invest in lower-risk opportunities, i.e., anything but start-ups. "...at the earliest stages of the private biotech company pipeline, the pool of VC funding for startups continues to stagnate, and the number of venture funds focusing on early stage is dwindling..."
Brady Huggett, Business Editor, "Nature Biotechnology"
"The main reason for the withdrawal (especially from VCs in the early-stage life science space) was generally meager returns across the asset class; despite the high risk and long lock-up periods that investors accepted in return for a promise of premium performance, VCs were often not returning any more capital than investors would have earned by making more liquid investments in the public small caps market. Returns from venture capital funds have not outperformed the public markets since the late 1990s." D Ford & B Nelson, "The view beyond venture capital", Nature Biotechnology, January 2014. Missing from their New Life Science Investor Landscape are the accredited investors enabled via Title II of the JOBS Act and crowdfunding participants via Title III (once TItle III is finalized and approved by the U.S. SEC). This all leads to the next logical questions: What is crowdfunding and what are the differences between Title II and Title III investors and investing? In its simplest form, crowdfunding (sometimes called crowd-sourced funding, crowd financing, or social funding) is asking a group of people to fund a new venture. "An Internet-enabled way for businesses or other organizations to raise money in the form of either donations or investments from multiple individuals." Why the Excitement Now with Crowdfunding? Crowdfunding is only possible and legal in the United States by the lawful processes described in Title II and Title III of the Jumpstart Our Business Startups Act (JOBS Act) [discussed below], signed into law by President Obama on 5 April 2012, and as regulated by the US Securities and Exchange Commission (SEC). At present, only Title II (for accredited investors only) of the JOBS Act has been enacted; equity crowdfunding under Title III [for unaccredited (aka most people) investors] has not been approved as the SEC continues to solicit and assess comments from interested parties. Title II approval means that companies can now publicly advertise on web portals on the internet that they are looking for funding. Title II also allows for nonaccredited investors to invest money in new opportunities (within certain limits and under discrete conditions). Likewise, under Title III, accredited investors can now seek out opportunities (now able to be freely advertised/solicited) they wish to fund on their own, without having to be a friend or family or part of a sophisticated investment group or organization. What remains to be seen is whether the Title III portion of the JOBS Act will ever gain final approval and enactment by the SEC and if it does, how significant it will be as a source of financing for life sciences companies. Given the presumed regulatory burdens that will be in place for funding portals, the limits on the amount of a donation by individuals, and the typically large sums needed by life sciences companies, Title III funding may prove to be of little significance. There is a much higher likelihood that Title II portals will prove to be significant sources of funding. 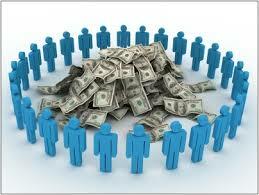 What Kinds of Crowdfunding Are There? The JOBS Act subtitled Title III of the legislation as crowdfunding. However, colloquially the term is used rather interchangeably for funding via an internet portal whether it is in accordance with Title II or will follow Title III when it is in effect. So, a word of caution: make sure that you understand which crowdfunding type you may be discussing with someone as they may be using a different definition. Donation or Charity: Contributions go towards a charitable cause without any expectation of a return on your investment. (Your money provides for 50 children in Country X to receive a book.). Example sites include GoFundMe, Rally, and Global Giving. Equity: Investors receive a stake in the company. (If Newco goes big, you get a percentage of the prize). Examples of these include Crowdfunder, CircleUp, and MicroVentures. Only accredited investors can participate (remember, Title II has been approved but no Title III approval yet). Lending: Investors are repaid for their investment over a period of time sometimes with interest and sometimes without. (You invest in Newco and get your money paid back over time). Examples of crowdfunding platforms that use the peer-to-peer lending model include Kiva, LendingClub, and Prosper. What is the Crowdfunding Market Size? Assuming that 3% of the eight million accredited investors invest $21 billion, would it be possible that the balance of these investors (the 97% on the sidelines) then be able to invest $700 billion? If current investment participation just doubles from 3% to 6%, then another $21 billion might be put into investments. Might greater acceptance and awareness of accredited crowdfunding facilitate this level of investing? Title I, Reopening American Capital Markets to Emerging Growth Companies: Most commonly referred to as the "IPO On-Ramp", this Title is meant to encourage smaller companies to go public through a process where public company obligations would be phased-in over time. Title II, Access to Capital for Job Creators: This Title removes the prohibition against general solicitation and general advertising in private offerings under Regulation D, provided that all of the purchasers of securities are accredited investors. The Title also addresses certain broker-dealer issues for these offerings. Title III, Crowdfunding: This Title provides an exemption for "crowdfunding," by permitting offerings up to $1 million. Requirements targeted at investor protection are imposed on the issuer and the intermediary involved in the crowdfunding effort. The Title also addresses certain broker-dealer issues for these offerings. Title IV, Small Company Formation: This Title is what is commonly referred to as "Regulation A" reform, and it creates a new exemption for offerings up to $50 million. Title V, Private Company Flexibility and Growth: This Title increases the Exchange Act registration stockholder of record threshold from 500 to 2,000 (only 500 of which can be non-accredited investors). Title VI, Capital Expansion: This Title increases the stockholder of record threshold from 500 to 2,000 for banks and bank holding companies, and provides that a bank or bank holding company could terminate 1934 Act registration if the number of holders of record drops to less than 1,200. Create the "IPO On-Ramp," which provides regulatory relief for "Emerging Growth Companies"
Allow advertising of private offerings in which securities are sold only to "accredited investors"
Allow raising capital through "crowdfunding"
Create exemptions for "Small Offerings"
The following panels were developed by reproducing content from the Morrison/Foerster document. They provide key comments and further details on each element of the first three parts of the JOBS Act; Title IV-VI will not be covered in this communication. "Title I: The IPO On-Ramp"
Permits filing a registration statement with the SEC on a confidential basis. Expands the range of permissible pre-filing communications made to qualified institutional buyers, or QIBs, or institutional accredited investors. EGCs may now engage in oral or written communications with QIBs and institutional accredited investors in order to gauge their interest in a proposed IPO (i.e. "test-the-waters") either prior to or following the first filing of the IPO registration statement. Requires EGCs to provide only two years of audited financial statements to the SEC (rather than three years), and delays the auditor attestation on internal controls requirement. Any rules requiring mandatory audit firm rotation or a supplement to the auditor's report that would provide additional information regarding the audit of the company's financial statements (no such requirements currently exist). An EGC is defined as an issuer with total annual gross revenue of less than $1 billion (with such threshold indexed to inflation every five years). The date when the issuer is deemed to be a "large accelerated filer" (as defined by the SEC). Table of changes in disclosure requirements. "Title II: Relaxation of the Ban on General Solicitation"
The conditions of Rule 501 and Rules 502(a) and 502(d) are satisfied. An issuer may still choose to conduct a private offering in reliance on Rule 506(b) without using general solicitation. The nature of the offering. The nature of the offering may be relevant in determining the reasonableness of steps taken to verify status, i.e., issuers may be required to take additional verification steps to the extent that solicitations are made broadly, such as through a website accessible to the general public, or through the use of social media or email. For existing investors (pre-506(c) effective date), a certification. "Bad actor" disqualification requirements prohibit issuers and others, such as underwriters, placement agents, directors, officers, and shareholders of the issuer, from participating in exempt securities offerings, if they have been convicted of, or are subject to court or administrative sanctions for, securities fraud or other violations of specified laws. On July 10, 2013, the SEC issued its final rules regarding "bad actors" for Regulation D. The amendments became effective on September 23, 2013. The SEC has released multiple CD&Is to provide further guidance. Concerns regarding the types of communications that would be or may be deemed to constitute a "general solicitation"
Title III provides an exemption that could apply to crowdfunding offerings. The SEC voted to release proposed rules on October 23, 2013, and the deadline for comments on the proposed rules expired on February 3, 2014. The SEC's proposed rules track the statute closely. The aggregate amount sold to all investors by the issuer should not be more than $1,000,000. This includes any amount sold in reliance on the exemption during the 12-month period preceding the date of the transaction. 10 percent of the annual income or net worth of an investor, as applicable, not to exceed a maximum aggregate amount sold of $100,000, if either the annual income or net worth of the investor is equal to or more than $100,000. The transaction must be conducted through a broker or "funding portal." Information should be filed and provided to investors regarding the issuer and offering, including financial information based on the target amount offered. The provision prohibits issuers from advertising the terms of the exempt offering, other than to provide notices directing investors to the funding portal or broker, and requires disclosure of amounts paid to compensate solicitors promoting the offering through the channels of the broker or funding portal. Issuers relying on the exemption need to file with the SEC and provide to investors, no less than annually, reports of the results of operations and financial statements. A purchaser in a crowdfunding offering can bring an action against an issuer for rescission in accordance with Section 12(b) and Section 13 of the Securities Act, as if liability were created under Section 12(a)(2) of the Securities Act, in the event that there are material misstatements or omissions in connection with the offering. Securities sold on an exempt basis under this provision are not transferrable by the purchaser for a one-year period beginning on the date of purchase, except in certain limited circumstances. The exemption is only be available for domestic issuers that are not reporting companies under the Exchange Act and that are not investment companies, or as the SEC otherwise determines is appropriate. Bad actor disqualification provisions similar to those required under Regulation A would also be required for exempt crowdfunding offerings. Funding portals are not subject to registration as a broker-dealer, but would be subject to an alternative regulatory regime, subject to SEC and SRO authority, to be determined by rulemaking by the SEC and SRO. The proposed full text of the JOBS Act and its amendments may be accessed here. The Official Bill Summary of the JOBS Act from The Library of Congress may be accessed here. Over two years since approval, Title III has not been finalized and enacted. How soon for Title III? "Title III would provide a means for nonaccredited investors to begin investing in these companies. It is in process but not likely to be implemented any time soon. The restrictions proposed by the SEC, including additional costs for compliance and heightened liability, would probably not appeal to the best startups that are better served raising capital from accredited investors." Advertising Allowed? Yes. Companies can use any type of media they like. No, once legal, issuers will not be able to "advertise the terms of the offering, except for notices which direct investors to the funding portal or broker." Eligible Investors? Only accredited investors Both accredited and nonaccredited investors can participate. Mark Roderick, an attorney at Flaster/Greenberg, has developed what he calls "A cheat sheet on crowdfunding". It is provided below and provides a succinct and practical overview of the area. Mark Roderick's "Crowdfunding Cheat Sheet"
Mark Roderick's crowdfunding cheat sheet as of June '14. Mark Roderick is an attorney at Flaster/Greenberg PC concentrating his practice on the representation of entrepreneurs and their businesses. He maintains a Crowdfunding blog, which he believes contains news, updates, and links to important information pertaining to the JOBS Act and how Crowdfunding may affect your business. For more information from Mark, email him at mark.roderick@flastergreenberg.com, or follow him on twitter@CrowdfundAttny, or visit his blog at www.crowdfundattny.com. "The closed and private nature of investing in small businesses and start-ups will change rapidly as the social web affects the flow of both information and capital to these companies." "The rise of crowdfunding as a more distributed way to form capital is aligned with the changes in the flow and distribution of information (via the Internet) and the creation and distribution of manufacturing capabilities (maker spaces and fabrication centers)." "Existing securities regulations were not crafted for the social web. Governments and policy experts worldwide are considering the possible impact of crowdfunding and crowdfund investing and trying to fashion new regulations, empower new technologies, and equip entrepreneurs with sufficient information to decide if crowdfunding is a viable funding or investment vehicle for these enterprises." "The rate of growth of crowdfunding, and its emergence in developing and developed countries, suggests that this phenomenon can become a tool in the innovation ecosystems of most countries." The third point, related to laws and regulations, has naturally the greatest potential impact. In the US, Title II is legal and operable, while Title III is not yet approved and its revision and approval process continues. What is the Future of Crowdfunding for Life Sciences? For the start-ups and other life science companies needing funding, Title III crowdfunding can only provide up to $1 million per year. Though not insignificant, most companies in this space will quickly evolve to need much higher amounts to continue development (entering the Valley of Death phase). This is where the promise of Title II "Crowdfunding" shines brightest. Title II is solely related to general solicitation rules, but the mere act of removing those prohibitions allows using the internet to advertise solicitations, i.e., by definition, crowdfunding. This is where the accredited investors sitting on the sidelines (remember, it is estimated that only 3% of accredited investors are active) can now more easily participate in investing. Internet-based Title II funding portals will enable those 97% of accredited investors, who may not be well-connected and/or located in areas of high VC activity (Silicon Valley, etc...), to have access to review and participate in funding life science opportunities with ease. Internet-based Title II funding portals will enable those 97% of accredited investors, who may not be well-connected and/or located in areas of high VC activity (Silicon Valley, etc...), to have access to review and participate in funding life science opportunities with ease. For life sciences to continue to attract future investments, success will hinge on the value proposition of the investment opportunity. Though crowdfunding methods will make investing easier and more accessible, future life science opportunities must continue to offer more significant potential value than other category opportunities. After all, for most investors, the return on investment is the force driving their investing. Steven M. Honig, "Crowdfunding: Not as simple as it looks", Duane Morris, December 2013. Ellenoff Grossman & Schole, LLP, "Crowdfunding: Client Alert"
Crowdfund Intermediary Regulatory Advocates, "Crowdfunding Best Practices"
"Title 17-Commodity and Securities Exchanges, Chapter II- Securities and Exchange Commission, Part 240-General Rules and Regulations, Securities Exchange Act of 1934"
"Alternative Investment Fund Managers Directive (AIFMD)"
1 Kramer B, Patrick M,"Silicon Valley Venture Capital Survey First Quarter 2014", Fenwick and West, May 16, 2014. 3 "Acceleration2013 Event Recap: Conference Provides Insight Into Challenges and Opportunities for Early Stage Life Science Companies in the Current Funding Environment and Post ACA", December 10,2013. 4Jeffrey Sohl, "The Angel Investor Market in 2013: A Return to Seed Investing", Center for Venture Research, April 30, 2014. 5Mary Anne Rooke, "What Entrepreneurs Need to Know About the Angel Investment Process", Angel Capital Association and the Angel Investor Forum, April 4, 2014. 7 Thomas Nastas, presentation "Valley of Death", November 29, 2011. 8 Steinmetz KL, Spack EG, "The basics of preclinical drug development for neurodegenerative disease indications", BMC Neurol (2009). 9 Pharmaceutical Research and Manufacturers of America, "2013 Biopharmaceutical Research Industry Profile", Washington, DC: PhRMA, July 2013. 10 Hay M, Thomas DW, Craighead JL et al,"Clinical development success rates for investigational drugs",Nature Biotechnology (32), 40-51,2014. 11 Brady Huggett,"Biotech's wellspring: the health of private biotech in 2013", Nature Biotechnology 32, 428-435, 2014. 12 Dennis Ford and Barbara Nelsen,"The view beyond venture capital",Bioentrepreneur,19 December 2013. 13 Crowdfunding's Potential for the Developing World. 2013. infoDev, Finance and Private Sector Development Department.Washington, DC: World Bank. 16 Pepper Hamilton, LLP, "JOBS Act Client Alert", September 4, 2013. 18 Noam Noked, "Jobs Act Title III Crowdfunding Moves Closer To Reality", The Harvard Law School Forum on Corporate Governance and Financial Regulation, December 6, 2013. 21 "FAQ: The Value of Angel Investors and Angel Groups", Angel Capital Association. 24 "U.S. Crowdfunding Market Size Estimate by US Berkeley College of Engineering", January 15, 2013. 26 Mike Norman,"Why General Solicitation Matters", Deloitte "Heads Up", wefunder.com, November 27, 2012. 27 "Happy Second Anniversary JOBS Act", Ryan Caldbeck, Forbes, April 22, 2014. 28 "Two Years Since JOBS Act Signed - Americans Still Waiting for SEC to Allow Average Citizens To Participate in Equity Crowdfunding", Launcht.com, April 22, 2014. 29 "The JOBS Act at Two", Morrison-Foster, May 2014. 30 "Update On The Jumpstart Our Business Startups ("JOBS") Act", Ward and Smith, P.A., August 28, 2013. 31 DiLeo J, Streaser S,"More Than Just Crowdfunding, Two Years After the JOBS Act", Deloitte "Heads Up", April 15, 2014. 32 www.startuplawblog.com, "Crowdfunding v. Rule 506(c) Offerings", October 1, 2013.